Jelenny Hernandez was born in Cuba and moved to Miami as a child. She continued her piano lessons she began at the age of 6 and attended the Miami Conservatory of Music where she played in many recitals. However, her passion has always been forensic science. Her first experience in the field dated back to the tender age of seven when her uncle, a doctor in Cuba, took her to the morgue. 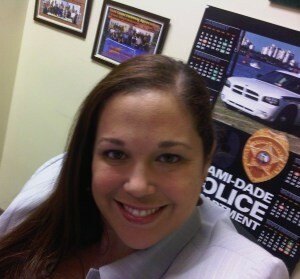 Upon reaching her adolescence, Jelenny pursued her dreams and studied Criminal Justice at FIU immediately followed by a Master’s Degree in Criminal Justice Administration and a second Master’s Degree in Public Administration. With her newly attained knowledge, Ms. Hernandez became a Forensic Analyst for Brevard County. She enjoyed collaborating with the FBI and other departments on high profile cases. Meanwhile, Jelenny worked with a Child Abuse Prevention organization called Yellow Umbrella, a non-profit dedicated to protecting children against any kind of violence. She also consulted for the school board evaluating and assessing supplementary education in Florida. Later in her career, she revisited Florida National University where she had previously taught Criminal Justice classes. Her love of teaching and desire to share her practical field experience brought her to where she is now. Currently, Jelenny Hernandez is the Academic Advisor to Criminal Justice and Legal Studies Programs as well as serving as Military Education Specialist. Her mission is to ensure that students attain their goals and obtain secure employment.